With powerful Xilisoft RM Converter, you can convert RM to AVI as RM to AVI converter, and convert RM, RA, RAM, RMVB formats to other mainstream video formats including AVI, MPEG, WMV, DivX, etc. Moreover, the multifunctional RM converter can convert RM to MP3 as RM to MP3 converter, and convert almost all video to audio formats such as AAC, MP3, WAV, etc. Complete solutions to transfer, backup and manage iPhone/iPad/iPod contents, convert videos and download online videos to iPhone/iPad/iPod. 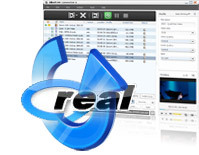 The RM converter can easily convert RM to AVI as RM to AVI converter, with the support of converting RM, RA, RAM, RMVB and other video formats to AVI, DivX, MPEG and WMV. The RM to MP3 converter also enables you to convert RM to MP3, and extract audios including AAC, MP3, WAV, and WMA from video file. Abundant parameters like video size, video quality, audio quality and channel are classified and offered for you to customize. If you need different output formats from the same file, the RM converter gives you the ability of adding various output formats to the same one. 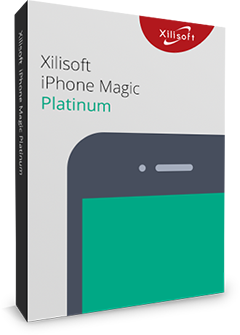 Xilisoft RM Converter helps you get exact file size with this smart bitrate calculator tool. By setting the start time and duration in the advanced settings, you can get any video segment effortlessly. 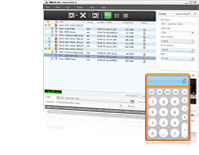 As a simple RM converter, it offers many split options for you to select freely. You can also custom split file size or time to split one file into several. Batch process and multithreading help you to simplify the RM video conversion greatly. The magic RM converter software allows you to preview source video file in the built-in resizable player (supports 4:3 and 16:9 zoom mode) and take snapshot anytime during preview. Allows you to manage your system power in this FLV to WMV converter. When you have more emergent task, just let this RM converter run in background to save more resources. You can select one of these languages: English, German, Japanese, French, Spanish and Chinese.